According to State of Remote Work 2017 Owl Labs research, more than 50% of the USA employees who specializes in IT, marketing, product, sales, and business development work remotely at least 1 day per week. 18% of respondents always work remotely. The 2018 report says that all employees feel 24% more productive if they work at home. The absence of necessity to commute and flexible schedules save both time and money. 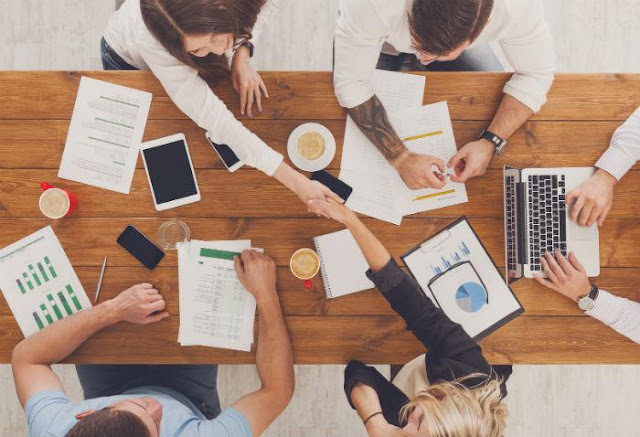 Fortunately, modern software provides employees with the opportunity to do nearly all work on their desktops and mobile devices and to communicate with colleagues through the Internet. ToBeProductive.com prepared a list of the best productivity apps for efficient team collaboration via smartphones and tablets. Imagine that you have to hurry up for the presentation and you don’t have time to make final edits. This could be an awful situation, but with the QuickSupport app, you can contact your office secretary or manager and ask for help. While commuting, tell them to connect to your mobile device and to complete certain tasks, and meet the situation head-on. 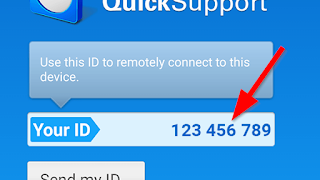 You can use TeamViewer QuickSupport to receive remote technical help with installation, adjustment, and uninstallation of applications, system diagnostic, data transitions and demonstration of any working objectives, solutions, etc. 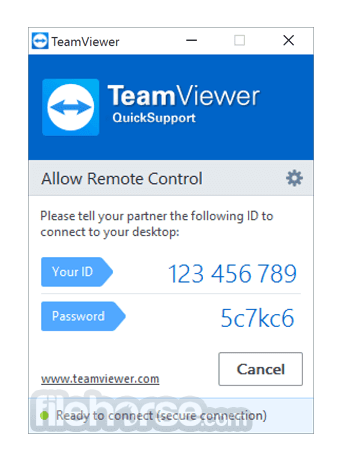 This official cross-platform TeamViewer client allows you to receive help on your mobile device from Mac or Windows PC on the go. You can also provide help for any other mobile devices that have the QuickSupport app installed. These features are urgent for system administrators. Don’t worry about data safety. TeamViewer supports 256-bit AES Session Encoding that allows devices to set encrypted stream and exchange messages which can be decrypted only on the authorized device. This protocol also enables you to send passwords and other confidential information using the device’s clipboard. This tool also provides access to system analysis algorithms to conduct quick, comprehensive diagnostic of any device to detect and solve problems. As a technician, you can make screenshots of mistakes for reports, stop unwanted processes, and delete files and applications remotely. Another useful feature is the chat. Use it to forward text messages and images as well as to have a voice chat. This feature makes troubleshooting very fast. ToBeProductive.com suggests this app as the safest and fastest remote access solution for mobile platforms. TeamViewer allows you to exchange files, but it’s too bulky for this single task and doesn’t work with large ones. If your job implies cross-platform file exchange on the go, then you should try Send Anywhere. Have an 8GB pack of videos to send from an iPhone to an Android tablet without wasting mobile data? No problem! This utility allows linking iOS, Android and other devices via WiFi modules for quick file sharing. It is the only app that makes it possible to exchange files between iPhones, Android smartphones, Mac OS, Linux and Windows computers, and even Amazon Kindle without any special cloud services. You only have to be in the radius of your WiFi active area to share files up to 10GB at a time. Special plug-in for Outlook subscribers allows you to remove the 25MB limit for Email attachments and send 10GB files as well. It’s faster to exchange files with other Send Anywhere users, but you can also send links for downloading via any messenger app or Email. Android devices support Hangouts link generator that pastes links into messages in a couple of taps. Finally, you can play audio and video files right inside the Send Anywhere application to decide whether you want to leave them or not. All productivity apps must adopt this idea as it saves a lot of time switching between applications. You are probably familiar with the suite of online office applications for free collaboration by Google. Google Sheets is one of these apps. It is a web alternative to the cumbersome and complicated Microsoft Excel. Google Sheets app allows you to create Google spreadsheets and to work on XLS and XSLX files created in MS Excel and other office suits, such as LibreOffice, WPS Office, Polaris Office, etc. Control all changes in real time, as all actions of other users are marked with specific colors in the history of versions. You can also leave comments upon certain elements of a document so that they are visible for matched contributors. It means that with Google Sheets, you don’t need an additional messenger. Google Sheets is highly convenient for sales, project and product managers. They can view consolidated reports, create tables of clients, detailed schedules, and all kinds of diagrams. Sharing options allows providing access to documents and folders to an unlimited number of users via Google Drive in a few taps. Unlike Microsoft Excel and OneDrive, this solution is free, so it’s more suitable for quick creating and editing of spreadsheets and reports. ToBeProductive.com suggests that these three productivity apps are essential for all remote teams and company managers. Businesspeople, company managers, accountants, technicians, secretaries – all need these tools. TeamViewer will help you share or get full access to mobile devices, Send Everywhere is a unique solution for device-to-device and device-cloud-device file transfer, and Google Sheets is a quick free tool for teamwork on spreadsheets.